If you have been dual booting with Linux, then you probably know one of the Linux boot managers like Grub or LILO has been installed in the MBR of your hard drive. What can you do when you no longer want Linux on that hard drive? 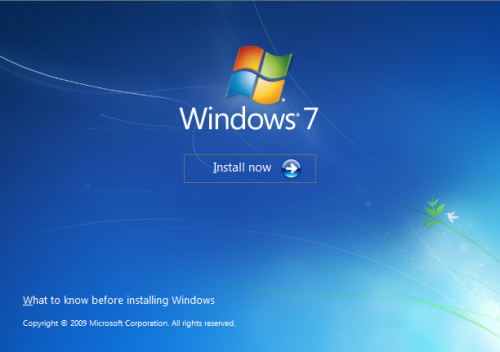 This tutorial will show you how to use your 7 DVD and BOOTSECT.EXE to restore the "bootsector code" of the MBR and allow you to begin booting to Windows 7 again. You can use this method to update the bootsector code for Windows 7, Vista, XP, 2000 or switch between Bootmgr and NTLDR. Just check the Microsoft TechNet site for the correct command. 1. Boot your computer to the Windows 7 DVD (or to a "Repair CD"). At this screen choose to install now. 2. Select your language and click next. 3. Click the button for "Use recovery tools". 4. Then select "Command Prompt". 6. The command we will use, bootsect.exe, is in a folder (named boot) on the DVD. We need to know what drive letter has been assigned the DVD drive to access the folder. NOTE: If this method fails to restore the MBR, you can try the bootrec command as it is also a tool for repairing the MBR. This will close the command prompt window. 11. Then you can reboot your computer into Windows. Thanks, bluemoon4ever! You are most kind. Please allow me to be the first to welcome you to Windows Seven Forums. Glad to have you! Just wondering. I currently have a dual boot with XP. If I want to delete the XP partition can I use this method to fix the mbr after I have deleted the XP partition and resized the Win 7 partition? Or do I need to fix the mbr first and then delete the Xp partition? Hello Antony! and welcome to Windows Seven forums, your questions are always welcome. Wonder if you could help on a little problem I have. 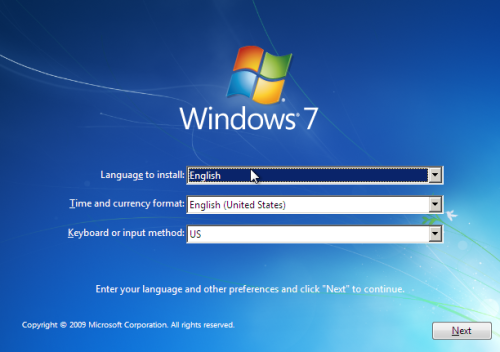 I have got Windows 7 Ultimate and installed it on a new hard drive. After installation I partitioned the drive in Windows creating a 400GB, 100GB, 500GB. After this completed I also noticed a 100MB System Reserved section but just ignored it. Everything worked fine. Have tried following the instructions on here and it said succesful but still will not boot. Anyone have any ideas? Hi Hammer100! Welcome to Windows Seven Forums. I am not sure what caused your booting problem. However, Windows 2000 and XP use NTLDR for their boot manager and Vista and Seven use Bootmgr. So by installing XP after installing 7 the Bootmgr has probably been overwritten breaking the boot path to 7. I would suggest you install XP first and then 7 because the 7 Bootmgr will include XP in the boot menu. If you are still having issues I can have this post moved to its own thread to get more help for you? Thanks for the reply. What I ended up doing for the moment was to buy a new hard drive to install Windows 7, is it possible to multi boot from two different drives or do the two OS need to be on the same physical drive? It is absolutely possible to dual boot from two or more hard drives; in fact it has some advantages. I highly recommend it to those who want to dual boot with Linux. For example, the Linux boot manager can be fully functional on its on hard drive and include your Windows OSs in its menu, while your Windows OSs can be managed with a Window's boot manager and include the Linux OS in its menu. You then control which boot manager you wish to use by using the bios to select the hard drive it will boot to. If a hard drive crashes you can still run the OSs on the good drive. When you are installing an OS, just unplug all other hard drives and only work with one at a time. Also, I like to set the current OS partition to C:, and give the other partitions different letters. That way the running OS is always drive C:. There are a few Window's utilities that help edit the Window's boot manager so you can add and remove OSs from its menu, if you need them. this way did not work on my case. i have a laptop installed windows 7, it was okay. until today i saw a article about removing the 100MB of "system reserved" partition.......and yeah...i did removed it by using my win7 installation dvd.. now my laptop wouldnt boot...it shows only operating systen not found"
it couldnt restore the bootsector code. it only shows "the system partition was not found: the requested system device cannot be found"
and then everything remain the same, still cannot boot. i know i am stupid to remove the system reserved partiton..
How do I restore the Master Boot Record?